United’s 2011/12 kit was the third in a four year kit deal with Nike. The shirt design followed the same format as that famously worn by Manchester United the season before. The most distinguishing feature on the tangerine top was a black chevron that encapsulated the Nike logo and club crest. The chevron design was a return to a historical look used by United in 1920’s. 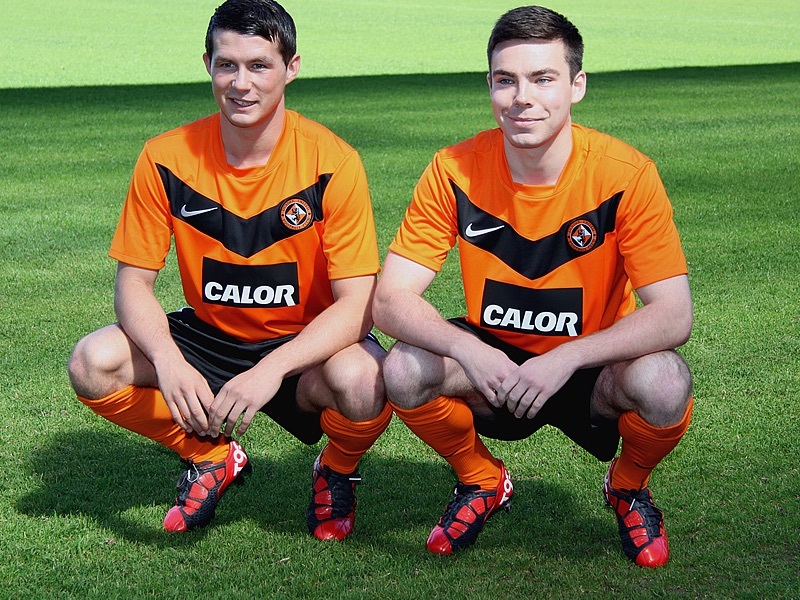 Ryan Dow and Dale Hilson were the youngsters used to model the kit at the press launch. The shirt design had taken into consideration the feedback of supporters in the previous season. The widely disliked red Calor sponsor logo was changed to a black and white format. Thus, complimenting the traditional United colours. The fold over collar from the previous season was also replaced with a more contemporary round neck, with a slight overlapping design. Other than the chevron and sponsor, there was no other black colouring on the shirt. Clydesdale bank sponsorship was again located on each sleeve. The shorts were black and continued with the Dents8 logo on the front. The socks this year were a plain tangerine. Making its debut in the European tie with Śląsk Wrocław, the team started the season with black shorts. However, the tangerine shorts from the away kit was slowly introduced with the to the home kit, and from the middle of September on, the full tangerine kit was used almost exclusively. United best performance in the all tangerine home outfit came in Perth on the 11th February 2012. The away side ran out 5-1 victors over St Johnstone after a great attacking display inspired by Gary Mackay-Steven. 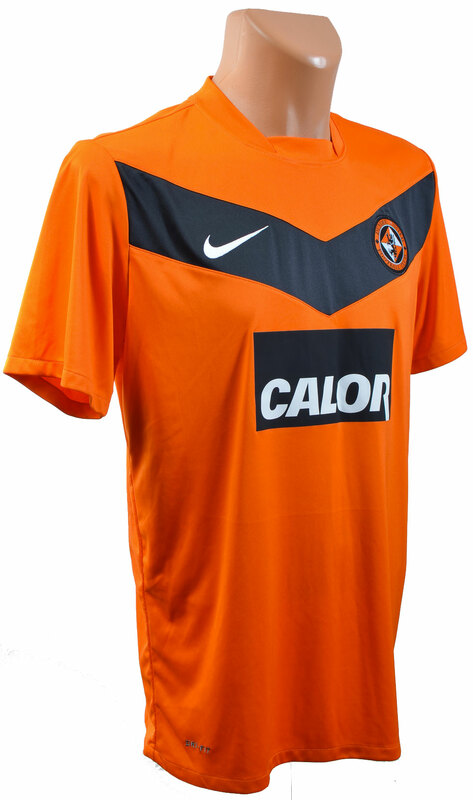 The kit was last worn in another great win over Celtic at Tannadice on the 6th May 2012. Scott Robertson was the only scorer that day.